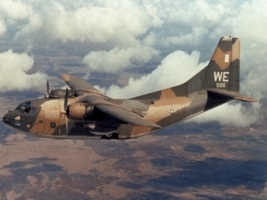 The US C-123 missions are down to 2 a day from TSN--the Vietnamese now have most of the C-123's here, tho there are more US C-123's at Phan Rang and Danang. 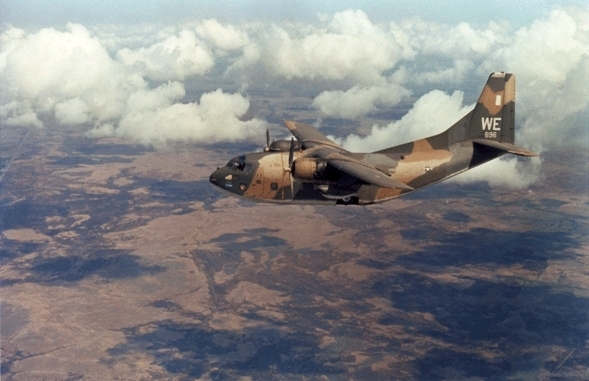 The C-130's have assumed their cargo-carrying responsibility to support US forces. Actually right now things are very slow--mostly pax runs. B.G. and I went through C-141 school at Tinker together and were also stationed at Travis together. He got a C-123 assignment in Vietnam--call sign Bookie. I don't believe I mentioned his fiasco... He was a C-123 instructor pilot here at TSN until a few weeks ago. He and 3 other guys took a local C-123 trainer flight to a beach to spend the day. They might have gotten away with that, but they took 4 World Airways flight attendants along. Word got back to the powers that be and he is now a copilot! Rather than stand a court martial he opted for an "article 15". In effect it's an admission of guilt to one's commander in order to get a lighter penalty and avoid a court martial. He's expecting a $1,000 fine. I hope he enjoyed the day!